These Low Carb Strawberry Cheesecake Squares have a creamy cheesecake filling swirled with sugar-free strawberry preserves baked in an almond flour crust. This low carb strawberry dessert is our favorite when we need a sugar free dessert. 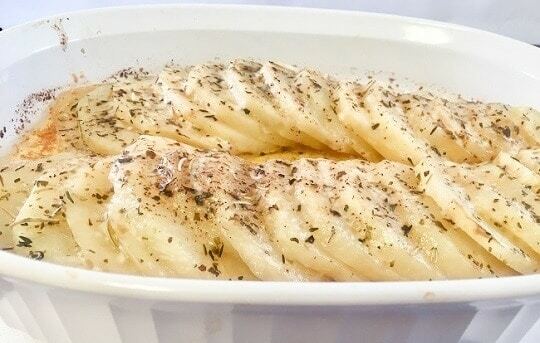 A simple, classic potato side dish recipe that you and your family will love. Simply slice the potatoes, pour melted butter on top, add some herbs and parmesan cheese. Bake until hot and creamy. Thanks for visiting My Kitchen Serenity!